School everyone in event-planning when you print Class Reunion Mascot Orange Invitations and send them out to your fellow alumni in advance. 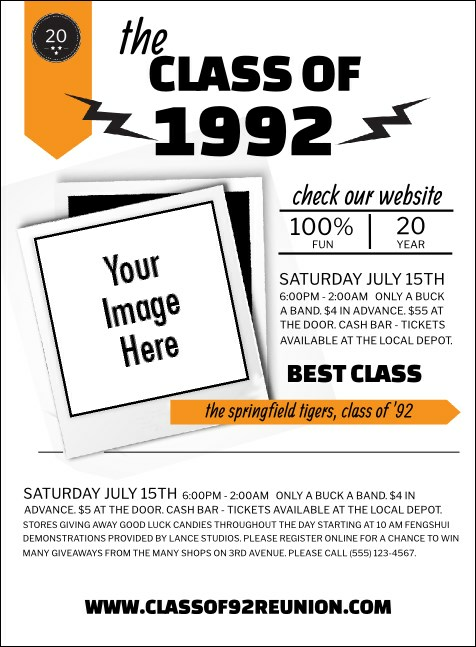 Reassemble your former classmates with Invitations that feature room for you to upload an image of your old school mascot on a white background accented with orange stripes. TicketPrinting.com helps you summon the masses!